Created to be a source of information and inspiration for teachers as they incorporate Library of Congress digitized primary sources and resources into instruction by Teaching with Primary Sources at Eastern Illinois University. Welcome to a new academic year and volume of The Source. There are a few changes to the newsletter that we hope are beneficial to you. As in the past, each issue will have a central theme. The title page features an introduction to the topic and we welcome your suggestions for topics. To support the idea that all history is local, Connecting to Illinois will showcase Library of Congress primary sources and information from various sources relative to our home state. 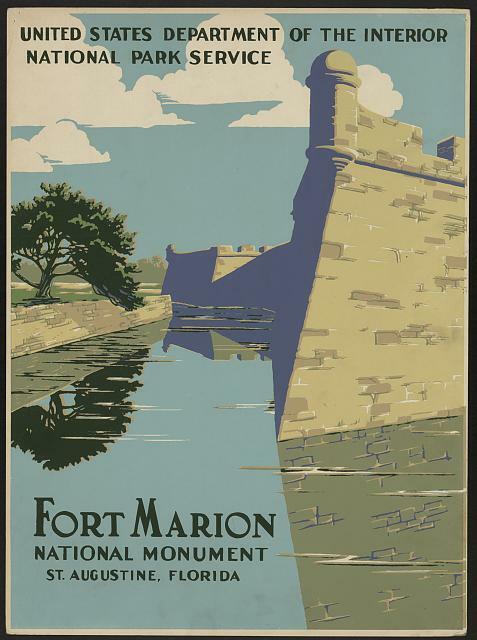 Place to Go and Primary Sources to See will share information about local sites that you can visit in Central Illinois to see primary sources and learn more about this month's topic. If you know of a site, please share and we will add it to the html version. As our country commemorates the sesquicentennial of the Civil War, we have added an area to each issue connecting our topic and this period in history called Toeing the Mark. During the Civil War, toeing the mark meant to get the job done. A goal of TPS is to provide resources to educators that support the use of Primary Sources in the Classroom. This section will feature Library of Congress Teacher's Page resources relative to the topic and available now. The Teacher's Page includes Lesson Plans, Themed Resources, Primary Source Sets, Presentations and Activities, and Collection Connections. 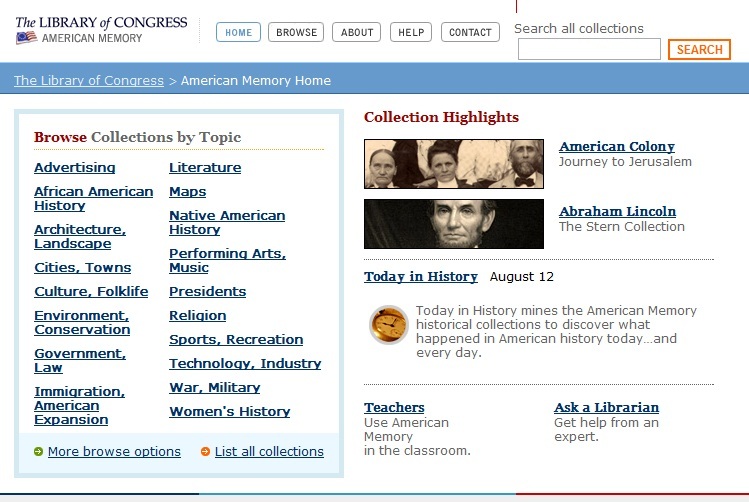 LOC.GOV offers a glimpse at sample resources form divisions of the Library of Congress site beyond the Teacher's Page. This area draws items from Thomas, Chronicling America, Wise Guide and many more collections found on the Library's homepage for further research and more materials. 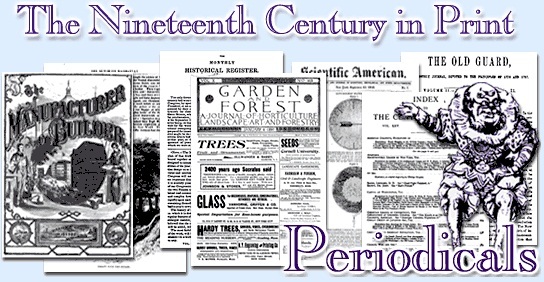 The final pages provide thumbnails and citations for all primary source featured in the issue - a primary source set for you! The Teaching with Primary Sources Program works with colleges and other educational organizations to deliver professional development programs that help teachers use the Library of Congress's rich reservoir of digitized primary source materials to design challenging, high-quality instruction. This year we will be connecting to the Common Core Standards. To learn more about the Common Core Standards visit the Illinois State Board of Education site. Dictionary.net defines a monument as a building, pillar, stone or the like, erected to preserve the remembrance of a person, event, action, etc. Defining a monument can be confusing: monuments can include statues, memorials, sculptures, tombstones and parks. If we included everything considered to be a monument, this issue would quickly become a book, so places described as monuments by state or federal government will bet he focus. Being the Land of Lincoln, monuments to Abraham Lincoln in nearly every stage of his career and life are found across Illinois. The Lincoln Monument in Dixon, Illinois, commemorates Lincoln's service in the Black Hawk War. This stunning bronze form captures Lincoln as a 23 year-old captain wearing his sword and belt with his coat held over one arm. It was sculpted by Leonard Crunelle, who was born in France but later settled in Decatur, Illinois. In addition to President Lincoln, the people of Illinois honor other people and events. Elijah Lovejoy took a firm stand against slavery writing editorials in his newspaper The Observer. Lovejoy faced great resistance to his anti-slavery beliefs. On November 7, 1837, an angry mob set fire to the Alton, Illinois warehouse storing Lovejoy's printing press. The fury of the crowd escalated and shots were fired resulting in the murder of Elijah Lovejoy. The city of Alton chose R.P. Bringhurst, a St. Louis sculptor, to design a monument honoring Elijah Lovejoy. The monument's granite column is 93 feet high, topped with a bronze winged statue of Victory 17 feet high and weighing 8,700 punds. Not all monuments commemorate solemn events; some celebrate the fun side of the people of Illinois. In Alton, a life-size bronze statue stands as a monument to Robert Wadlow, world's tallest man. Wadlow was born in Alton in 1918 a normal sized baby, but a problem with his pituitary gland triggered an abnormal growth spurt. By 13, he was seven feet four inches and still growing. He reached a height of eight feet eleven inches. If there isn't time to visit Washington D.c. and the Washington Monument, take a short drive to Mount Vernon, Illinois to see a miniature replica. Located on Potomac Blvd., this smaller version of the monument has no marker telling who, when or why the replica was created. If you can't get to D.c. this could be the next best thing. Head north from Mt. Vernon to Effingham and at the crossroads of Interstates 57 and 70, you can't miss the Cross at the Crossroads. 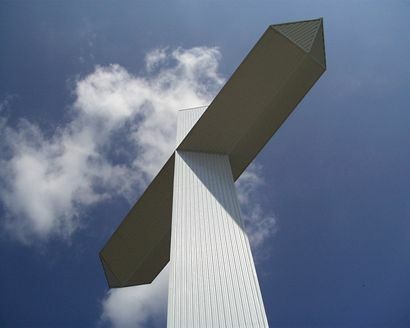 At 198 feet tall, the cross is surrounded by benches and monuments to the Ten Commandments. The monument was completed in July 2001 and includes a chapel welcome center. The Cross at the Crossroads is maintained by The Cross Foundation, a non-profit foundation relying entirely on private donations. Monuments are created for the public to help current and future generations remember and commemorate events or people. Each monument evokes a unique meaning to a different audience. 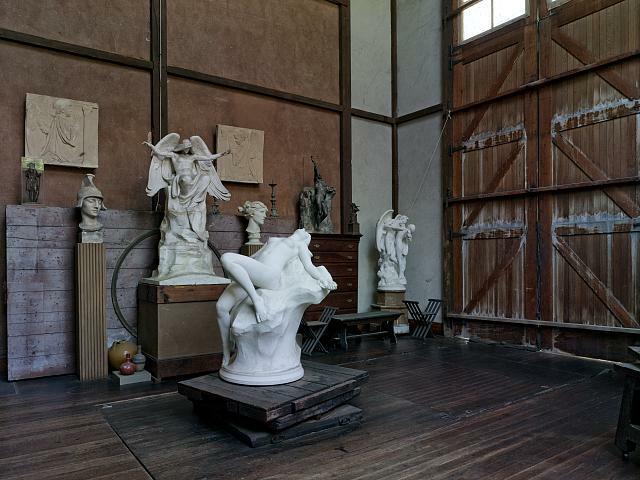 The sculptor's ideas are not always clear, some pieces require thought and consideration from the viewing public. Today, the Statue of Liberty stands for freedom and liberty but when France gave the statue to America, it was to recognize the friendship the to countries established during the Revolutionary War. The monuments we build are as diverse as our country. over a year waiting for the funds to build a pedestal. By fall of 1885, over 120,000 people had donated over $100,000. The pedestal alone is considered one of the heaviest pieces of masonry every built. When the pedestal was finished the statue was reassembled in four months. 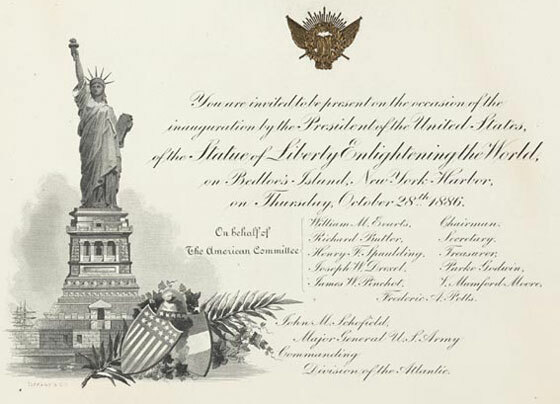 The Statue of Liberty was declared a monument in 1924. America's pastime, baseball, has a Hall of Fame in Cooperstown but the New York Yankees took it a step further with Yankees' Monument Park. Here you will find a collection of six monuments, 23 plaques and 15 retired numbers honoring the best baseball players to put on the pinstripes. Monument Park started in 1932, with a granite monument to Yankee's manager Miller Huggins. The Yankees would go on to dedicate monuments to Lou Gehig, Babe Ruth, Joe DiMaggio, and Mickey Mantle. The park is open to the public on game dates but closes 45 minutes before the first pitch. Not all monuments are made of stone and metal. 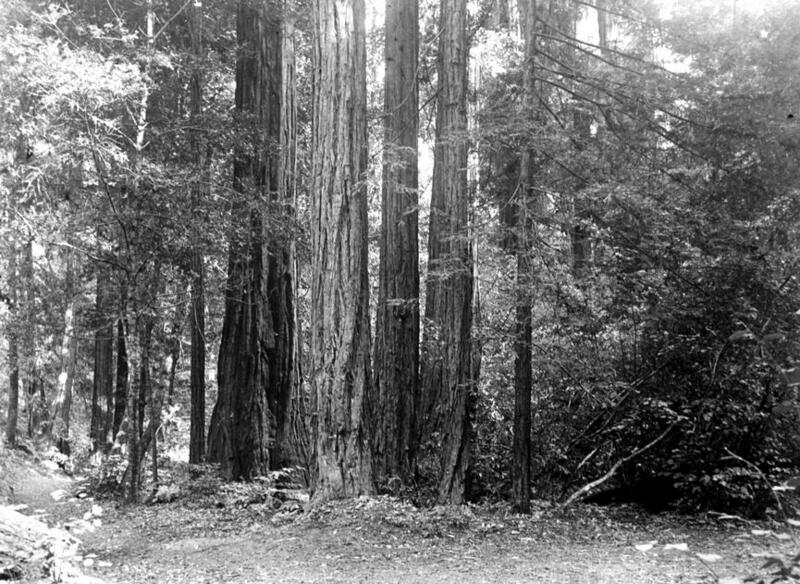 The American Antiquities Act of 1906 gave the president power "to declare by public proclamation historic landmarks, historic and pre-historic structures, and other objects of historic or scientific interest that are situated upon the lands owned or controlled by the Government of the united States to be national monuments. Some presidents have had a broad interpretation for the Antiquities Act. President Theodore Roosevelt proclaimed more than 800,000 acres of the Grand Canyon as a national monument. In 1918, President Woodrow Wilson proclaimed more than a million acres in Alaska as Katmai National Monument. The proclamation was rarely used again until 1978, when President Jimmy Carter proclaimed 15 new national monuments in Alaska. The Antiquities Act is not only used to create national monuments but also expand them. President Franklin D. Roosevelt used the Antiquities Act to enlarge Dinosaur National Monument and President Lyndon B. Johnson added Ellis Island to the Statue of Liberty National Monument. Most national monuments are designated by the president but Congress also has the authority to establish monuments. Congress does not get its authority from the Antiquities Act, the congressional process of establishing a monument has to go from introduction to special authorizing legislation and the final enactment. This can take years and explains why Congress has exercised this authority only 38 times. 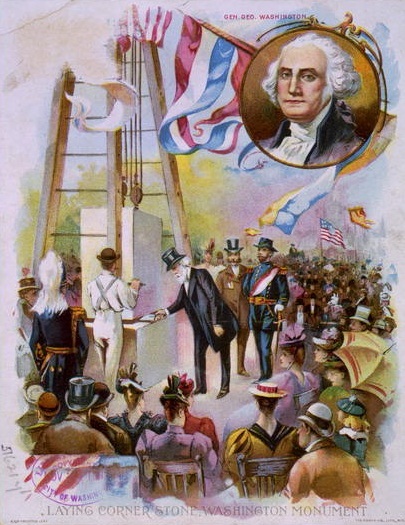 In 2011, we celebrate the 126th anniversary of the dedication of the Washington Monument . This monument honoring America's first president has a turbulent history. Changes in design, scared homeowners, the Civil War, lack of funding, and an earthquake have all threatened the landmark. The idea of honoring America's first president began in 1783 when Congress proposed a statue of George Washington be erected, but the proposal was followed by little action and the idea began to fade. Choosing how to honor the president was not an easy decision. 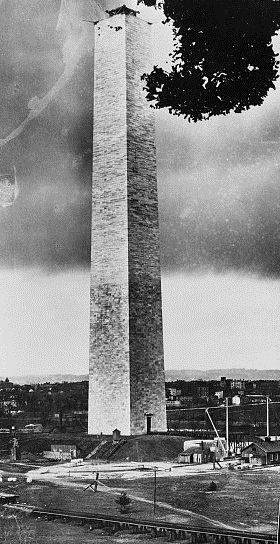 In 1833, the Washington National Monument Society was formed to decide upon an appropriate memorial. The society held a design competition and in 1836, Robert Mills, was announced as architect. His design was a neoclassical plan with a flat topped obelisk surrounded by a colonnade on which would stand a statue of Washington in a chariot. Inside the colonnade would be statues of thirty prominent Revolutionary War heroes. This plan was one of the most expensive designs submitted to the Washington National Monument Society. Even with the design in place, the cornerstone was not laid until July 4, 1848. A lack of funds and complications with the proposed site for the monument were blamed. Homeowners feared that such a tall structure could fall on their homes or attract lightning and these concerns forced a change in location. 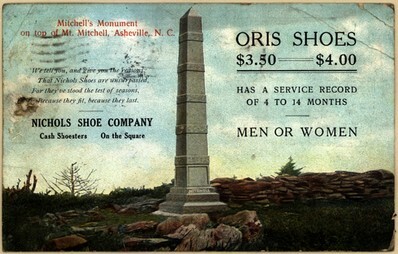 When the obelisk reached around 152 feet, the civil War began. 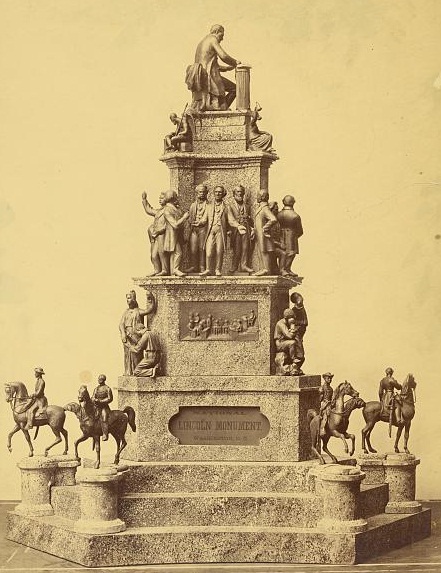 With the country's focus on war, the monument was halted and all support, funding and construction ceased until 1876. 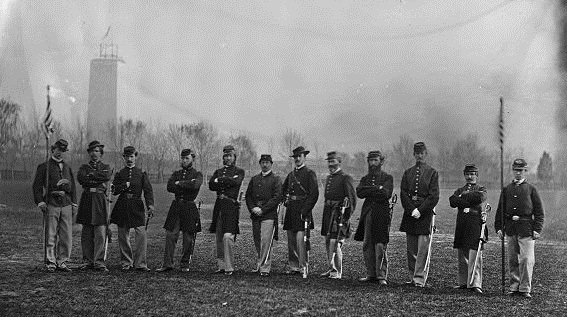 During the Civil War, the grounds around the monument were used as a soldier camp and training area. 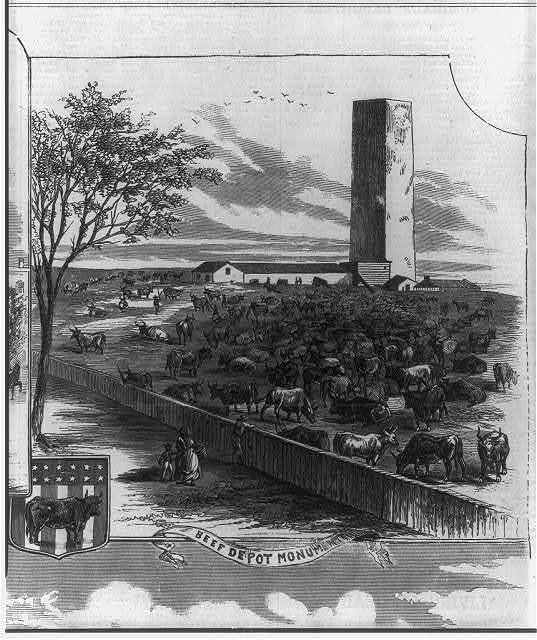 Livestock used the grounds for grazing and the monument was used as a slaughterhouse with meat hanging inside to cure. Yet even in its uncompleted state, the monument was a tourist attraction as the tallest structure at the time. When ot in use, the public was allowed to go to the top of the structure. 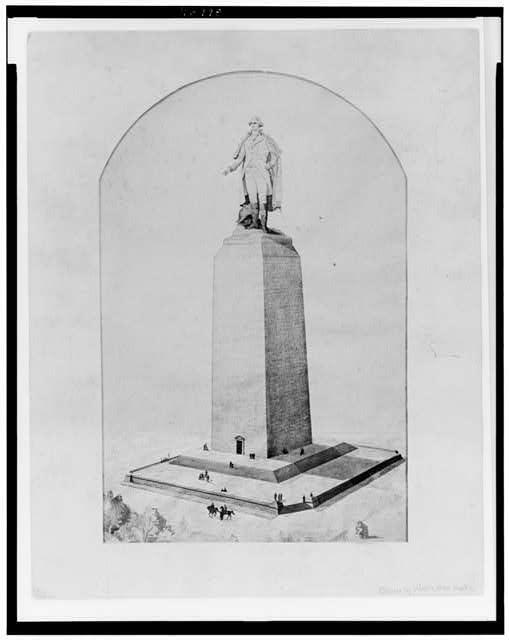 The original architect died in 1855 and successor Lt. Col. Thomas Casey greatly revised the design of the monument. The new design would resemble an unadorned Egyptian obelisk. The completed monument weights 81,120 tons, stands over 555 feet tall, and was built with 36,491 blocks. The walls range in thickness form 15 feet to 18 inches. There is a color change in the bricks due to problems with delivery of the original stone resulting in stone delivered form another quarry. The pyramid at the top of the structure is made of solid aluminum, which at the time was rare and used mostly in jewelry. 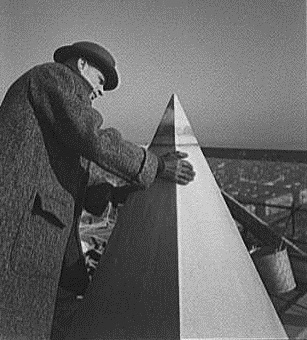 The pyramid was the largest single pieces of aluminum and os unique it was displayed at Tiffany's in New York before being placed on top of the structure. 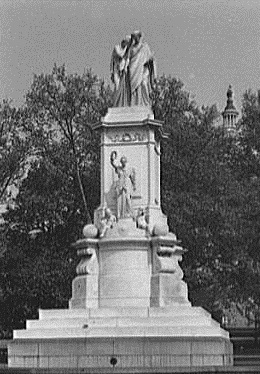 The monument was finished on December 6, 1884 and opened to the public on October 9, 1888, exactly 40 years after the cornerstone was laid. 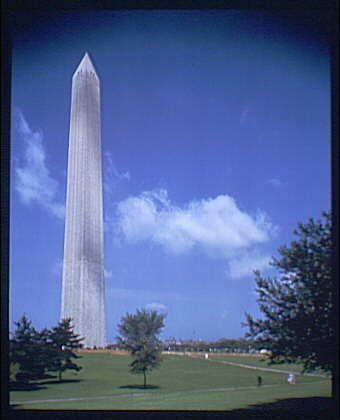 A government mandate states that the Washington Monument will always be the tallest structure in Washington D.c., but it is also the tallest stone structure and the tallest obelisk in the world. On August 23, 2011, Washington D.C. was hit by a 5.8 earthquake causing damage to the Washington Monument. Inspections by architects and engineers uncovered a four foot long crack in the monument and until the damage can be repaired, the Washington Monument will remain closed to the public. Teacher's Page - The Library of Congress offers classroom materials and professional development to help teachers effectively use primary sources from the Library's vast digital collections in their teaching. Lesson Plans - Teacher Created lesson plans using Library of Congress primary sources. 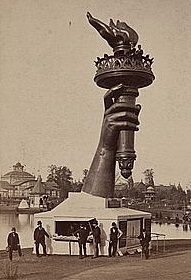 America at the Centennial This lesson uses images and texts selected form the digital collections of the Library of Congress to engage students in studying the Philadelphia Centennial Exposition of 1876. The class will examine the monuments of the centennial. Primary Source Sets - Set of selected primary sources on specific topics, available as easy-to-print PDFs. Also, background information, teaching ideas, and tools to guide students analysis. Symbols of the United States Six U.S. symbols are depicted in this primary source set: the Liberty Bell, the U.S. flag, the bald eagle, the national anthem, Uncle Same, and the Statue of Liberty. 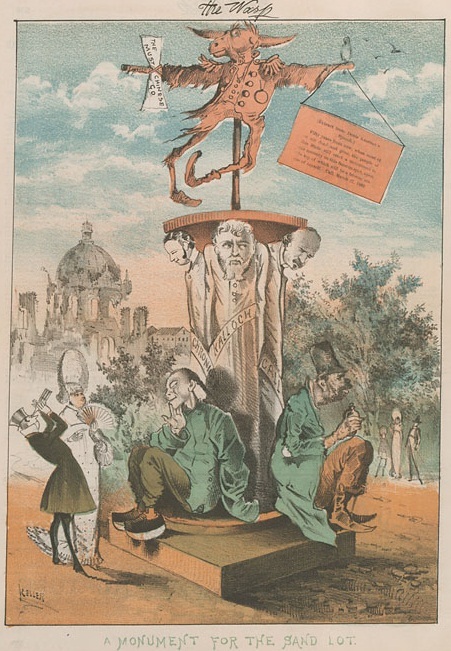 Collection Connections - Historical content and ideas for teaching with specific Library of Congress primary source collections. Built in America: Historic American Buildings Survey/Historic American Engineering Record/Historic American Landscapes Survey, 1933-Present This collection includes measured drawings, large-format photographs., and written histories for more than 35,000 historic structures and sites in the United States. 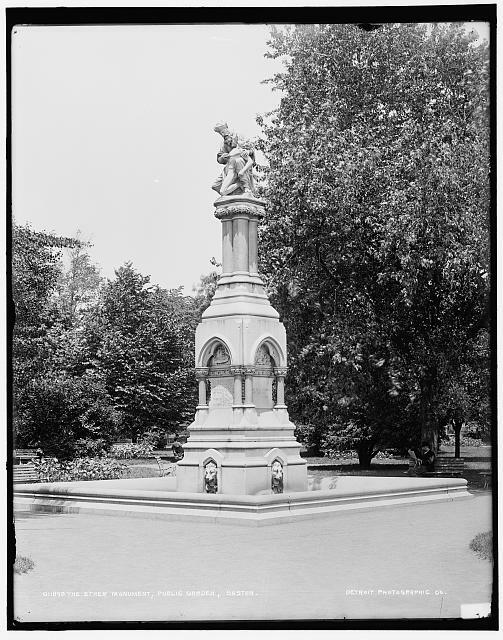 The Critical Thinking section includes images of the Battle Monument in Baltimore, Maryland, considered the "first significant war memorial ever built." Students can also analyze the design of monuments like the State's Soldiers' and Sailors' Monument in Indianapolis or Michigan's Monument Park. There are also sample questions to use in analyzing these photographs. Touring Turn-of-the-Century America: Photographs from the Detroit Publishing Company, 1880-1920 The photographs in this collection served as the basis for picture postcards of the time. Prominent subjects include buildings and view in towns and cities, colleges and universities, battleships and yachts, resorts, natural landmarks, and industry. A search on the term "monument" produces hundreds of images of statues and memorials from across the United States. Washington As It Was: Photographs by Theodor Horydczak, 1923-1959 There are a large number of architectural photographs, including the monuments, memorials, and outdoor sculpture of Washington, D.C. in this collection. This collection can also be used to give students a sense of the city of Washington, D.C. during a particular time. 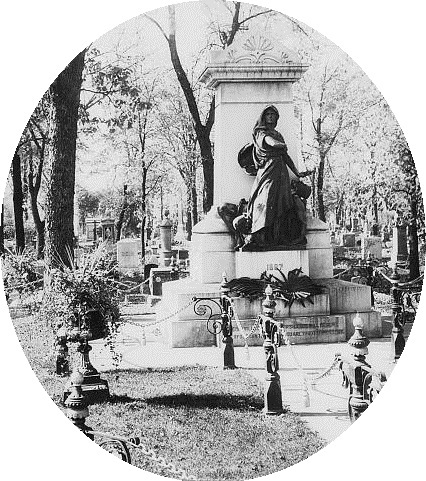 Theodore Horydczak photographed many monuments in the city of Washington. 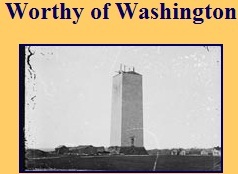 This collection holds over 300 photographs of the Washington Monument taken by Horydczak. America's Story Aimed at children, the Library of Congress, America's Story wants you to have fun with history while learning at the same time through interactive games and stories. 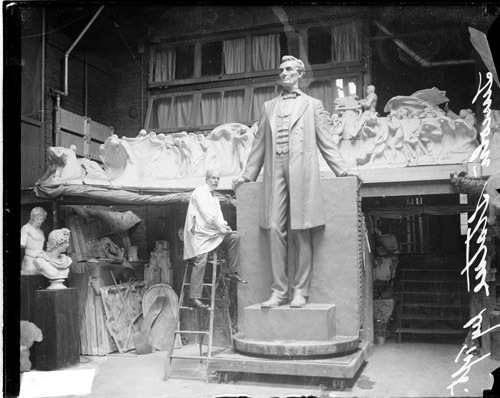 April 20, 1850: American Sculptor Daniel Chester French was Born Famous for the Lincoln Memorial, Daniel Chester French was considered America's leading monumental sculptor. 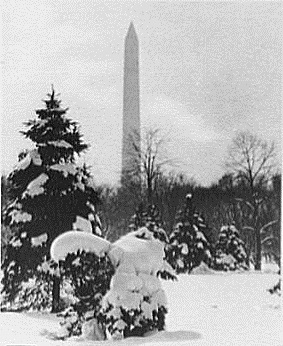 December 6, 1884: Washington Monument Completed Learn more about the completion of the focal point of the National Mall, The Washington Monument. 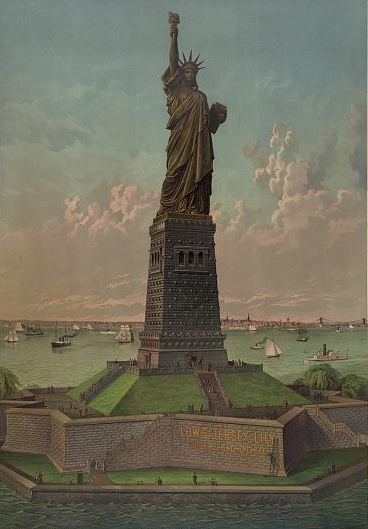 June 19, 1885: The Statue of Liberty Arrived in New York Harbor Find out which country gave the U.S. the Statue of Liberty. December 11, 1919: The Boll Weevil Honored in Alabama Can you imagine erecting a monument honoring an insect? 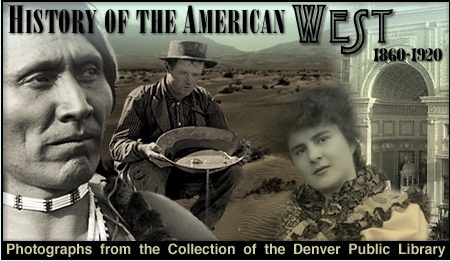 American Memory - American memory provides free and open access through the internet to written and spoken words, sounds recordings, still and moving images, prints, maps, and sheet music that document the American experience. It is a digital record of American history and creativity. These materials, from the collections of the library of Congress and other institutions, chronicle historical events, people, places, and ideas that continue to shape America, serving the public as a resource for education and lifelong learning. 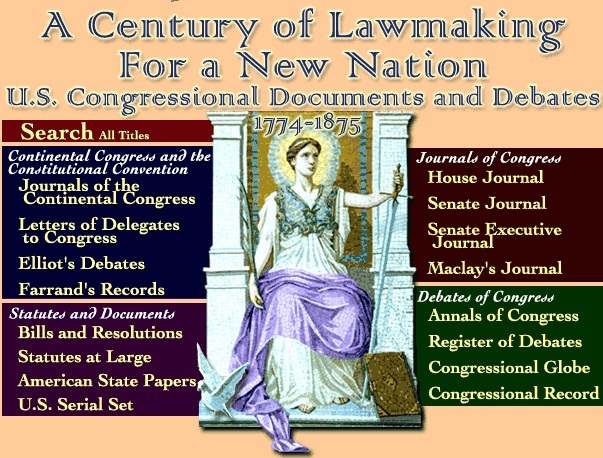 A Century of Lawmaking for a New Nation Beginning with the Continental Congress in 1774, America's national legislative bodies have kept records of their proceedings. The records of the Continental Congress, the Constitutional Convention, and the United States Congress make up a rich documentary history of the construction of the nation and the development of the federal government and its role in the national life. relating to the key events of American history. Built in America This online presentation of the HABS/HAER collections includes digitized images of measured drawings, black-and-white photographs, color transparencies, photo captions, data pages including written histories, and supplemental materials. 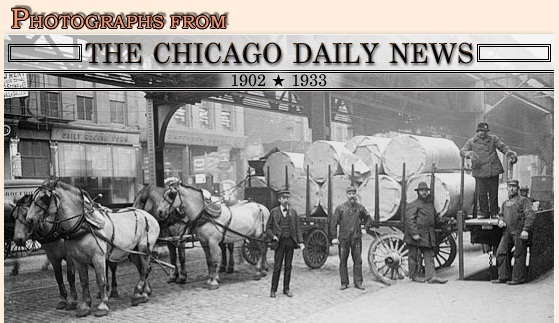 Photographs from the Chicago Daily News, 1902-1933 This online collections consists of images of urban life captured on glass plate negatives between 1902 and 1933 by photographs employed by the Chicago Daily News, one of Chicago's leading newspapers. Monuments to Stephen Douglas, Abraham Lincoln and the Dearborn Massacre are in this collection. History of the american West 1860-1920 Over 30,000 photographs drawn from the holdings of the Western History and Genealogy Department of the Denver Public Library, illuminate many aspects of the history of the American west. many photographs in this collection refer to national monuments such as parks and protected land. 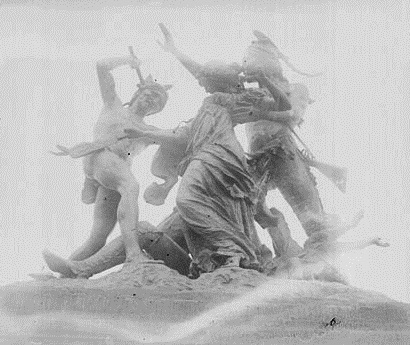 America from the Great Depression to World War II: Black-and-White Photographs from the FSA-OWI, 1935-1945 Monuments are photographed from Washington D.C., to San Jose California in this collection. Monuments honoring presidents, soldiers and American workers are just a sample of the photographs in this collection. Total Abstinence Monument in Fairmount Park, promoting the temperance movement. Am monument in Boston commemorates the discovery that the inhaling of ether causes insensibility. collection but the majority are the Washington Monument. 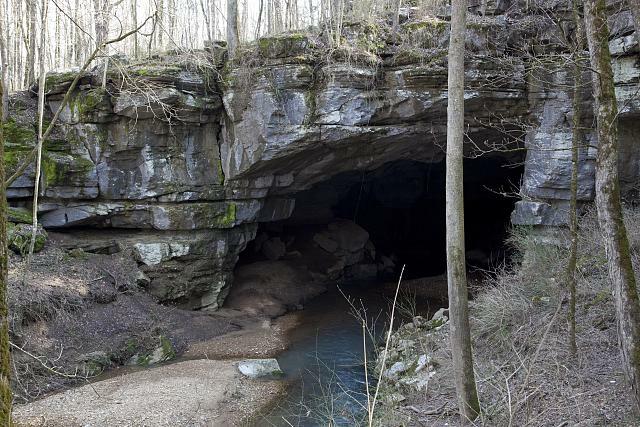 which is suggesting changes to the Antiquities Act of 1906. Wise Guide A monthly web magazine of historical highlights and fascinating facts from the Library of Congress. October 2004: It May be the Biggest Statue Ever Copyrighted One of the most famous sculptural works of art ever registered, and perhaps the largest, is the Statue of Liberty. December 2004: King Cotton vs. The Boll Weevil No, it's not the name of the latest horror movie. Both cotton and its nemesis, the boll weevil, have been memorialized in monuments. Prints and Photographs - The collections of the Prints and Photographs Division include photographs, fine and popular prints and drawings, poster, and architectural and engineering drawings. 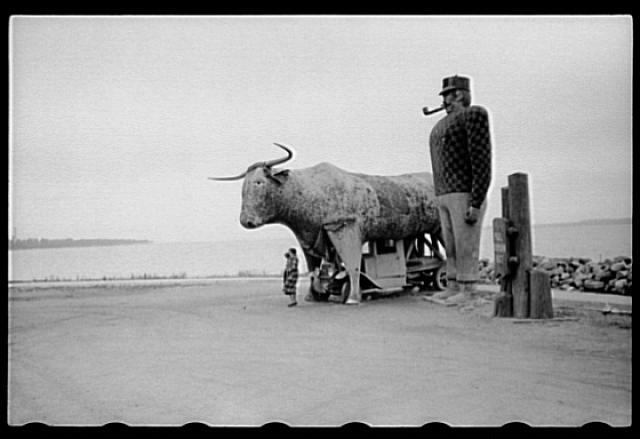 Farm Security Administration/Office of War Information Black-and-White Negatives Monuments to Paul Bunyan and Prospector's are a few of the images of distinctive monuments in this collection. Miscellaneous Items in High Demand The "Miscellaneous Items" category consists of more than 80,000 descriptions of individual images from a variety of the Prints & Photographs Division's photographic, print, drawing, and architectural holdings. Harris & Ewing Collection This collection shows the Washington Monument as a background for Easter egg hunts and Fourth of July fireworks. There are also images form monument dedications. Architecture, Design & Engineering Many different designs for the Washington Monument were produced. 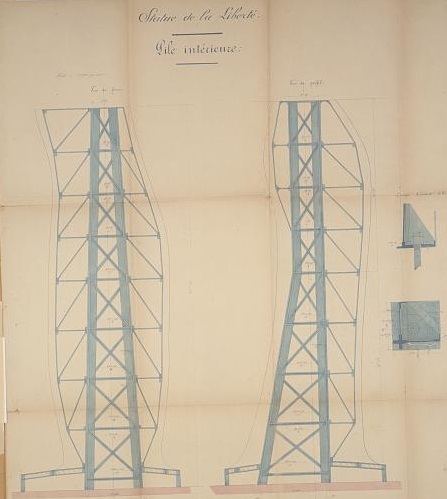 This collection holds architectural drawings and different renderings for the Washington Monument and other monuments. that inhaling either causes insensibility. Today in History - Each day an event from American history is illustrated by digitized items from the Library of Congress American memory historic collections. 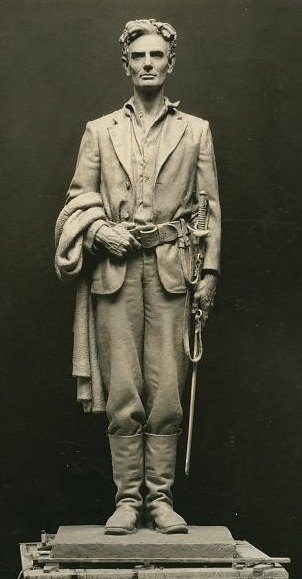 April 20, 1850: Daniel Chester French American sculptor Daniel Chester French was born in Exeter, New Hampshire. 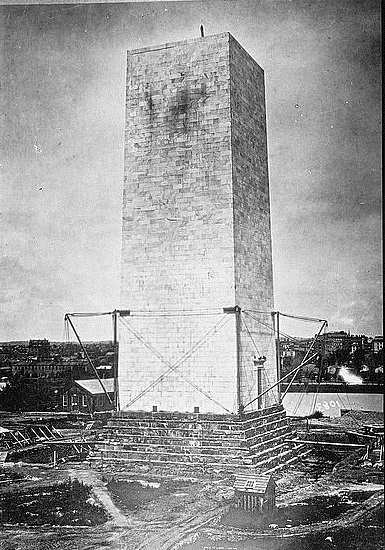 December 6, 1884: The Washington Monument Workers placed the 3,300 pound marble capstone on the Washington Monument completing construction of the 555-foot Egyptian obelisk. 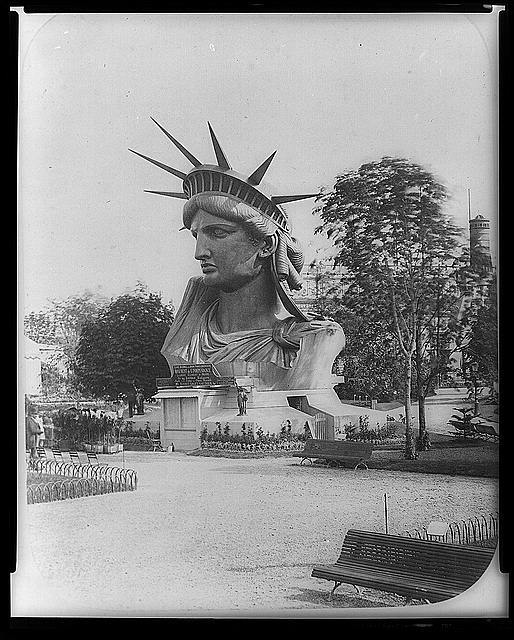 June 19, 1885: Statue of Liberty The Statue of Liberty arrives at its permanent home at Bedloe's Island in New York Harbor. December 11, 1919: Boll Weevil Honored The citizens of Enterprise, Alabama, erected a monument to the ball weevil, the pest that devastated their fields but forced residents to end their dependence on cotton. Exhibitions - Discover exhibitions that bring the world's largest collection of knowledge, culture, and creativity to life through dynamic displays of artifacts enhanced by interactivity. Worthy of Washington In 1833, the Washington National Monument Society embarked on a mission to fulfill a forgotten pledge that Congress had made fifty years earlier to erect a memorial to honor the first U.S. president.